In Athens, winter comes suddenly and unexpectedly. Every year I wait for it, tired by the scorching heat of the summer, finally irritated by our whimsical autumn that seems unable to decide between heat and cold. Every year, there comes a day when I wake up and realize that it is finally time for the entire winter survival kit. Coat, scarf, boots, gloves, a woolen hat. I have the happy opportunity to work in the northern part of our capital, in a beautiful neighborhood where the seasons make their presence known in a much more accurate way than in the heart of the city and wintry days can be rather trying. And yet, I wouldn’t change winter for a thousand summers. I remember a textbook from primary school that called winter ‘’the death of nature’’. Bloody nonsense! Winter isn’t a time of death, winter is a time of togetherness and warmth. My grandma used to love winter, despite the endless years of surviving the cold days and nights during the Second World War, despite the lack of comforts that we have the honour to enjoy nowadays. She loved winter because it was the time for the family to gather and tell stories, reminisce and dream of the future waiting at the edge of winter. A time for true ‘’coziness’’, not pretentious blubbering for glamorous magazines but a moment when whispering by the light of the lamp created memories. This is the feeling I experienced while I was reading Winter, the third book in the Seasons series edited by Melissa Harrison. Let us travel to the Scottish Highlands, to the metropolis of London. 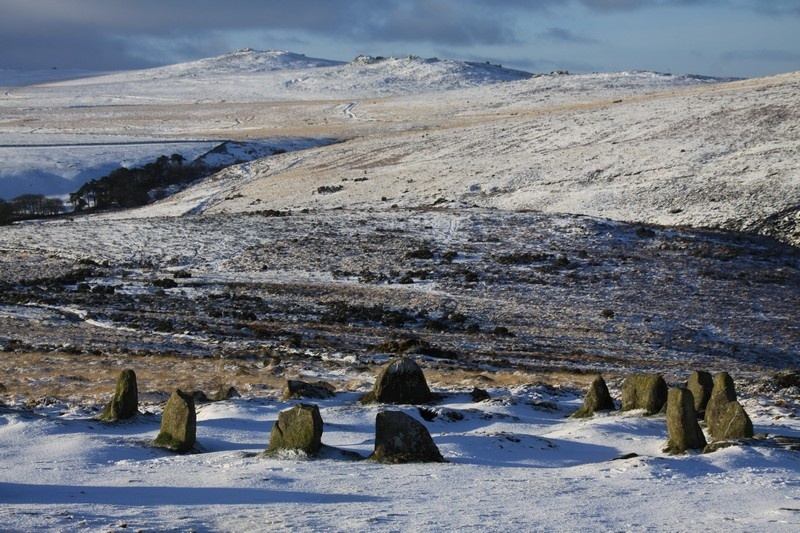 To Dartmoor and Wistman’s Wood. To Norfolk and Bench Tor. 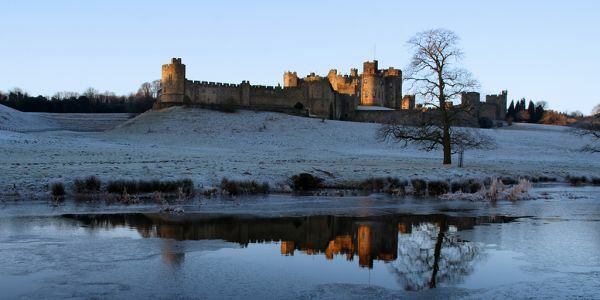 To Northumberland, to Oxford. Let us experience winter in the city, let us enjoy the coziness of winter in a traditional village. Let us feel the screaming air from the winter sea. Let us welcome the Winter Solstice, Christmas and Candlemas under the bright, mystical light of the winter moon. There is always something enticing about the way moonbeams are lighting the branches of the trees that have shed all their leaves. Let us be careful of the east wind that blows, bringing nightmare according to the old superstition. Let us wonder on the attitude of ancient cultures towards winter with a mulberry wine at hand by the Christmas tree. Foxes, badgers, pheasants, woodpeckers, plovers, kingfishers, otters and ravens will keep us company. Roger Deakin has written a beautiful text on leaves and their unique presence in our world. Caroline Greville beautifully describes the haunting nights when winter begins to show us that it has finally come. There is also an atmospheric extract from Dickens’s Bleak House on London and fog in the late November nights. Ronald Blythe’s moving text on Christmas, Saint Thomas and the Resurrection of Lazarus. A beautiful passage from Virginia Woolf’s Orlando and from Dubliners by James Joyce. Emma Kemp shares a poetic description of a walk on a winter’s night and Brian Carter talks about the memories of a childhood’s snowy days in the North. Jon Dunn describes the winter darkness in the Shetland Islands and the festivities of Up Helly Aa in a beautiful, dark text and what collection would be complete without a chapter by Thomas Hardy? Winter is harsh and beautiful, pure and threatening, cold, possibly unapproachable but majestic. 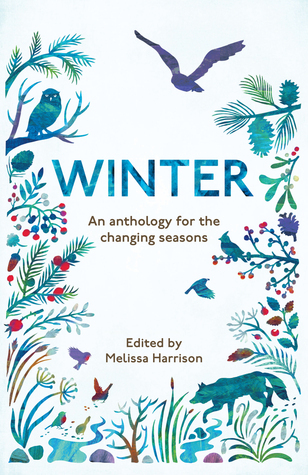 This anthology captures the spirit of the quiet season to perfection. And as for me, winter is the cold morning when a child used to wake up at 7 o’clock to see whether it was snowing, when Grandma always reassured me that snow would come soon and I was sitting by the Christmas tree, staring out of the window, waiting, in a house full of the aroma of fresh coffee, cinnamon, almonds and the sound of crackling wood in the fireplace. Winter is the whitened sky and the grey noons, the cobalt blue of the blue hour, the lights that start flickering from 4 o’clock in the afternoon, the oversized scarf knitted by Grandma because ‘’it is too cold outside and your skin is too sensitive, puppet.’’ Winter is stories. Winter is memories.